Following up their crushing defeat of the Turkish Army at Sarikamish on New Year's Day, when they captured an entire army corps, the Russians advanced through Turkish Armenia, and in a surprise attack on the Turks near Erzerum, about the first of February, captured a commanding general and the staff of the Thirtieth Turkish Division, besides a large quantity of war material. In order to deliver their surprise attack, the Russians had crossed a mountain two miles in height during a raging blizzard which served to conceal their movements and the noise of the army. Coincident with this battle, a Russian squadron in the Black Sea bombarded the Turkish transports. Meanwhile, another Russian Army had encountered a Turkish force at Maraud, in the Turkish province of Azerbaijan, commanded by General Djevet Pasha. The Turks fled in disorder, abandoning their cannon, standards, dead and wounded. Early in February 1915, after the Turks had been driven out of Ardahan, they retired to Ardanutem, a town near the Armenian frontier. Here they began those systematic massacres of Armenians which have made their name execrated everywhere. Of the 200 victims of Turkish vengeance in this town, 150 were dragged from their homes and killed in the streets, while 50 Armenians were taken from the local jail, stripped naked and compelled to leap to death into the frightful abyss of Jenemdere, also called "The Devil's Gap." 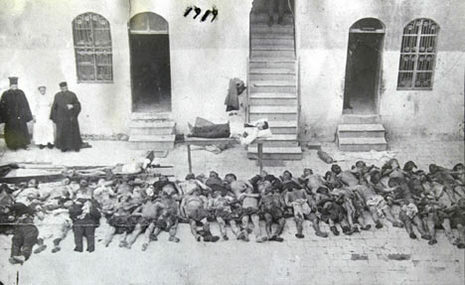 At Tamvot the Turks killed 250 Armenians, leaving their bodies to be devoured by the scavenger dogs. The women residents of this town were taken into captivity. All the male inhabitants of Antreat, 600 in number, were put to death and the women were divided into parties and sent to various interior towns. 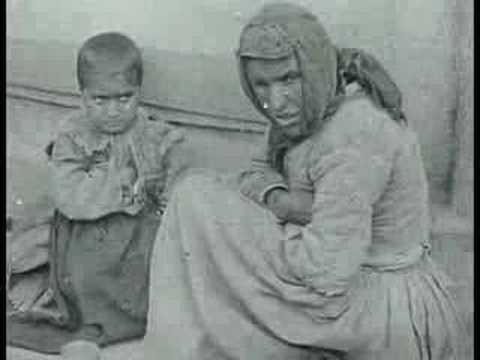 An Armenian physician, Dr. Derderian, reported to the Red Cross of London that the whole plain of Alashgerd was dotted with the bodies of men, women and children who had been slaughtered by Kurds after the Russians had retreated from this district The Armenian women were carried away to the mountains." At this time, the Armenian Red Cross reported that 120,000 destitute Armenians were imploring aid in the Caucasus region alone. Continuing the advance into Northwestern Persia, the Russians defeated the Turks in a furious battle at Atkutur, the Turks losing 12,000 in casualties. The Turks cruelly massacred 800 Christians in this region, dragging many of them out from the homes of friendly Mahometans, who had sheltered them. Some of the victims were shot ; others were bound to ladders and their heads chopped off where they protruded from the rungs ; eyes were gouged out and limbs chopped off. Several hundred other Armenians were thrown into deep wells and drowned. Refugees reaching the Russian lines on April 24, 1915, reported that all the inhabitants of ten villages near Van had been killed by the Turks and Kurds. 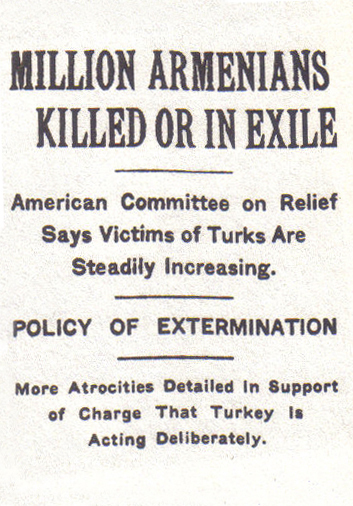 Following this massacre, the head of the Armenian church at Etchmiadzia cabled President Wilson an appeal addressed to the people of the United States, to act on behalf of the Armenians. On May 15, 1915, the Russian consul at Van reported the massacre of 6,000 Armenians by the Turks and Kurds. One week later a column of Russian troops entered Van, the murderous Turks retreating toward Bitlis after setting fire to half the town. 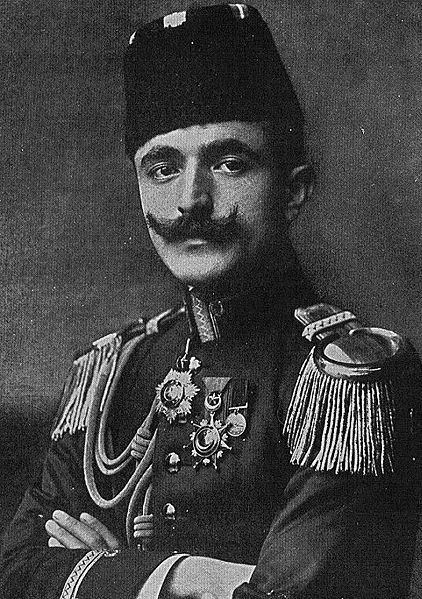 By June 6, 1915, the Russians had cleared the whole region of Turks, practically annihilating General Halil Bey's original corps. Along the Caucasian front, the campaign had been halted by a typhus epidemic among the Russians, which claimed 150 victims daily. Hostilities were resumed about May 1st, and the Turks were driven back to the southwest, with heavy losses on both sides. In June 1915, it was reported that 12,000 Armenians had been killed at Bitlis and Mush, and that several villages in the Lake Van region were entirely wiped out. At Marsovan, where an American college is located, the Armenians were driven out to the suburbs. Twelve hundred were put to death and thousands of other Armenians managed to escape into Northern Mesopotamia. In some towns the Armenians endeavored to defend themselves against Turkish attacks. At Shaben Karshissar, in the province of Anatolia, the citizens held the town for a short time against Turkish troops, but were finally overcome. Four thousand were put to death. The people of Kharput also held out a week against the attacks of the Turks before surrendering. The United States Department of State, in reply to a universal appeal for action on behalf of the Armenians, instructed the American Ambassador at Constantinople, Mr. Henry Morgenthau, to make representations to the Turkish Government. While disclaiming responsibility for the massacres, the Turkish Government affirmed that the Kurds were the guilty parties. However, upon Mr. Morgenthau's request, Turkish regular troops were sent to Persia to keep order. Yet it is known that the massacres in the Lake Van region were instigated by the Turkish Minister of the Interior, Talaat Bey, in reprisal for the act of the populace in resisting an order of banishment directed against them. The districts covered by the Armenian massacres were Eastern Anatolia, Cilicia and the Taurus region. The British and Russian official reports agree that in 1915 fully 1,000,000 Armenians out of a population of 4,000,000 were killed by the Turks and Kurds. It was estimated that 250,000 Armenians escaped into Russia after suffering untold privations. 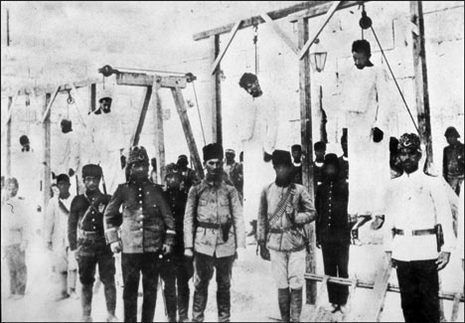 The slaughter of the Armenians is said to have been instigated by Enver Pasha and Talaat Pasha, who charged the Armenians collectively with "treason." These acts of unspeakable savagery, at which the whole world shuddered, were defended by certain German publicists as justifiable.